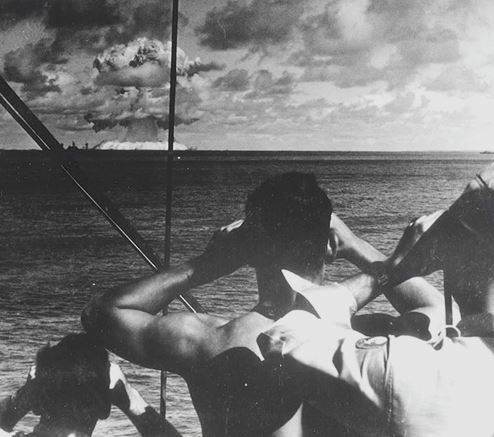 U.S. military observe the explosion during Operation Crossroads Baker, a nuclear test conducted on Bikini Atoll on July 25, 1946. Source: U.S. Department of Defense. Dr. Sethi is a U.S. Historian and Adjunct Professor at Cal Poly Pomona and Southern New Hampshire University.